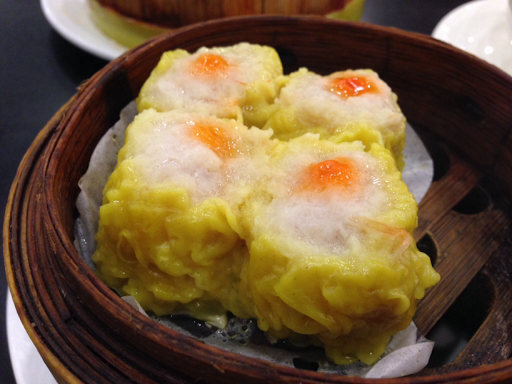 I love dim sum! 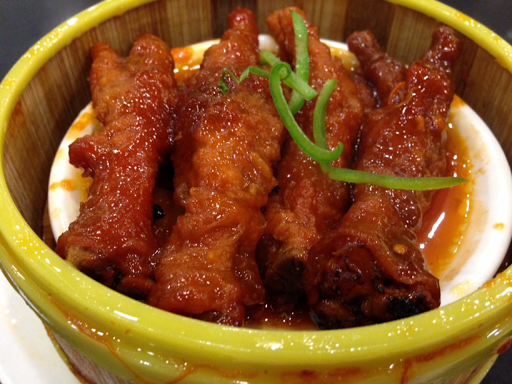 I make it a point whenever I go to Bambang to buy my medical supplies, I always eat dimsum. 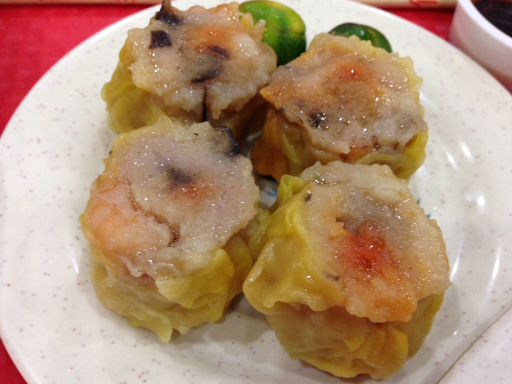 I waited for the dimsum promo at King Chef, Lucky Chinatown Mall at 3 pm. The discounted promo ends at 5 pm. Also, from 9-11 pm. 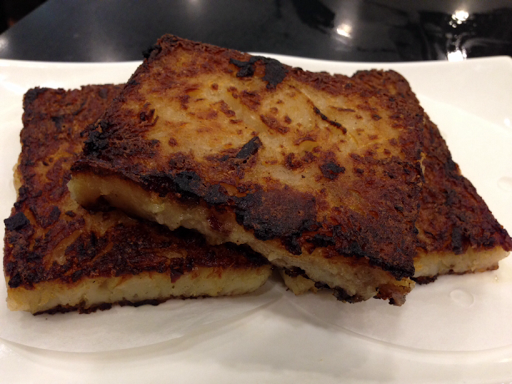 I told the wait staff that I wanted my radish cake tostado but not overcooked! It was still good, though. My ultimate favorite, Sesame Shrimp Roll! 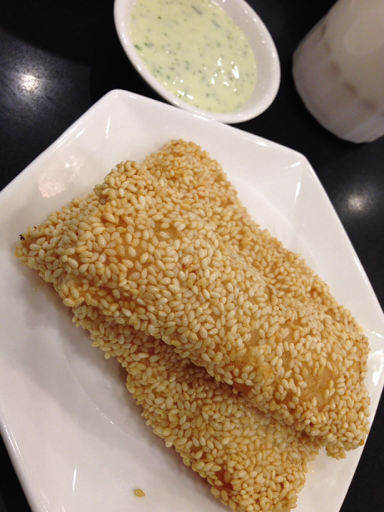 It is coated with sesame seeds and filled with minced shrimps! And the dipping sauce? It's like tartar sauce with garlic and chopped spring onions! I loved it! 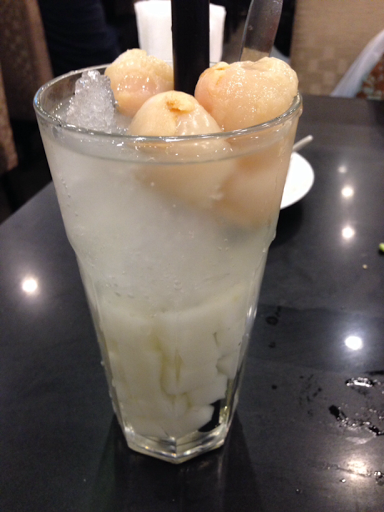 As I was about to ask for my bill, I saw the waiter had this glass filled with almond jelly and lychees on his tray! I also ordered one for myself! 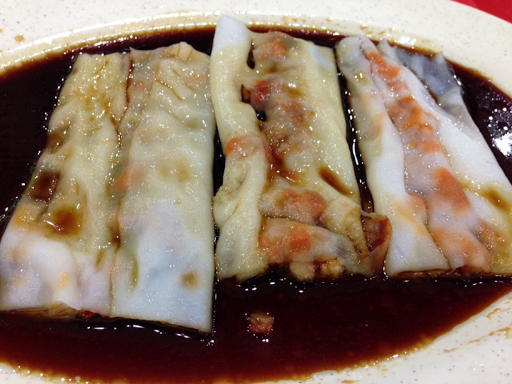 Earlier in the afternoon, I just had a mini snack at Wai Ying, 168 food court. I went around 168 but I just got lost. I did not buy anything. Got dizzy from figuring out the pasillos. Hermie can actually go to Bambang to buy my medical supplies but I love going to my food side trips.